This one year program fulfills a curriculum of a minimum of 10 courses or 30 course credits is and is designed to disciple and equip students to better serve in the local church or ministry. Students are honored with a certificate upon the successful completion of these prescribed courses of the Certificate Program of Discipleship. This Associate Program requires a student to complete a curriculum of a minimum of 20 classes over two years of study. This prescribed course of study requires an additional 10 courses beyond the Certificate Program. The completion of these 20 classes or 60 credits is comparable to an Associate of Ministry/Degree. This four-year degree requires 120 credits. It builds on the 60 credits of the Discipleship and Leadership curricula (Associate of Ministry/Theology Degree). It also includes fulfilling the 30 credits of general education. 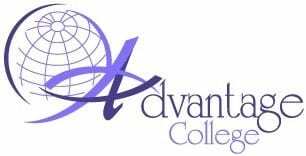 These general education credits are not taught at Advantage College as the focus of this institution is the practical, professional and spiritual dimensions (head, heart and hand) of ministry preparation. 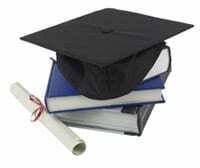 It is therefore recommended that the general education requirements be fulfilled at a recognized junior college or university, and then transferred to Advantage College. Advantage College offers “fast track” credits towards the fulfillment of the General Education requirements for the Bachelor’s degree. These include; 1) the development of an L&M Portfolio (Learning and Ministry Portfolio, LMP), 2) CLEP Tests, 3)institutional tests for course exemptions, and 4) other delivery systems.